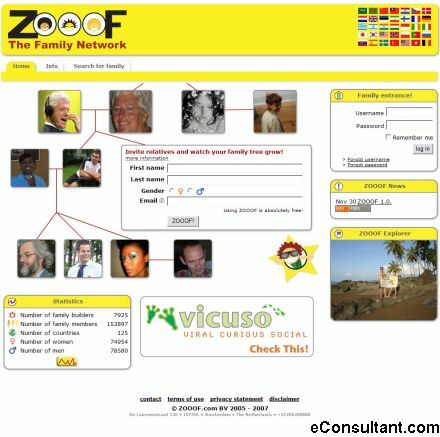 Description : With ZOOOF, the Family Network, you will make an astonishing voyage of discovery around the world. Rediscover your close relatives, honor your ancestors, write your own biography, share the birth of a child, learn about your family’s history and discover the many religions, convictions and colours. Find family ties with your heroes, your friends and the past.